Take 1 tablet daily, preferably with food. As with any supplement, if you are pregnant nursing or taking medication, consult your doctor before use. Not formulated for children. Do not exceed the recommended use. 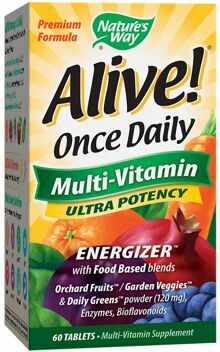 As with all Alive! 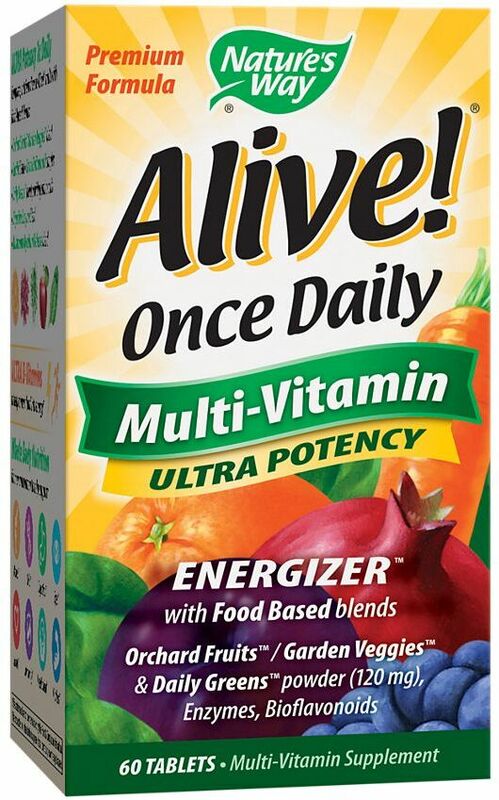 multivitamins they're also packed with high potency B-vitamins, 20+ fruits and vegetables and nutrients for whole body nourishment to help support bone health, daily energy, colon health, eye health, heart health, and immune defense.